In a past life you probably endured the drudgery of writing your CV. It was probably staid, corporate and conformist, just the way they all are. But, CVs are one of life’s necessary evils if you want to avoid the dole queue. 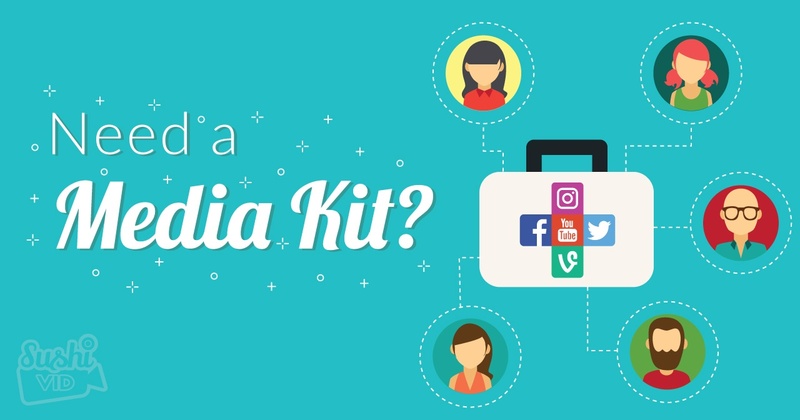 So too, if you want to generate sponsorships from your Social Media Profile page, you NEED a media kit. In fact, Jeni Elliott suggests “having a polished and professional media kit will give your sponsorship program an edge… helping potential sponsors realise the value of sponsoring your blog.” It’s your chance to show potential sponsors how collaborating with you will help elevate their brand to the stratosphere. This is your chance to tell your story – how you came to be in the prime position you are now to sell your potential sponsor’s products. If you are operating as a business then tell the story of how your business came to be and what its core values are. In order to personalise things, include a photo of yourself and your logo. If you want to whip up something simple without using photoshop, try canva.com on your desktop or if you’re on iPhone, over is a pretty good app to use for visuals. If you’re using a Mac, Sketch is hands down the best app for design on Mac. We use it for everything and we’re totally design noobs here at SushiVid. What is it that you do best? Do you enjoy unboxings, tutorials, hauls, or just an opportunity to make your opinion known to the world? Remember, less is more. Never overkill with too much information. Just think of this as an elevator pitch. This formula works for startups but you could also try it here in your content overview. For example: SushiVid helps Southeast Asian YouTubers attain sponsorships and endorsements by providing them with an open, vibrant, and safe marketplace. Once you’ve established the theme, let your clients know your publishing schedule, special events, and anything that will sway their decision in your favour. If you’ve worked with major brands and have their permission to share this information, by all means SHOW IT OFF! This will only serve to convey trust and create demand for your services. If you don’t have a quality version of the company’s logo already, contact their PR department so that you can add a decent image to your kit. Or… with permission of course, you could always go to the brand’s website, hover on the logo, right click on your mouse, open image (logo) in a new tab, save image and you just got yourself a decent quality logo. Remember when you are a Creator, you are responsible to the people who subscribed to you and to the image you portray. This is pretty serious, considering as late as 2015, people are still talking about Naomi Campbell's betrayal to the anti-fur campaign by PETA back in 1994! You can check it out here! Depending on how long you’ve been Creating, you may have garnered media attention, won awards or had some notable videos with epic viewership levels. If that’s the case, be sure to highlight these achievements somewhere in your media kit. It can’t just be you blowing your own trumpet, you need someone else to declare your awesomeness. And testimonials are just the ticket as they “help to humanise your brand by adding tangible confirmation of your selling points.” Just think about your own travel habits. Will you even step foot in a hotel these days without checking TripAdvisor first? P.S. We’ve made sure to add in a review column to ensure you get to rate a brand just as much as a brand gets to rate your service. This is a sure way to collect good reviews that other sponsors can see - publicly on our platform. Never bore your readers with information upon information upon information. Your kit is like a story, every page should be leading up to the other, start and end impactful. If you need help building a story, try watching Steve Jobs! Of course, you’re putting all this together to lure sponsorships, so end your kit with advice on how to contact you to start the sponsorship deal and boost sales. Join SushiVid – as Asia’s first Brand – Creator marketplace, we’ve got a wealth of brands ready and waiting to partner with you. You may call us cheeky, but we like to think we’re just showing you how to put number 8 into action. If you'd like to know more about what we reveal to brands on SushiVid, check out our blog post on What Do Brands See About You.